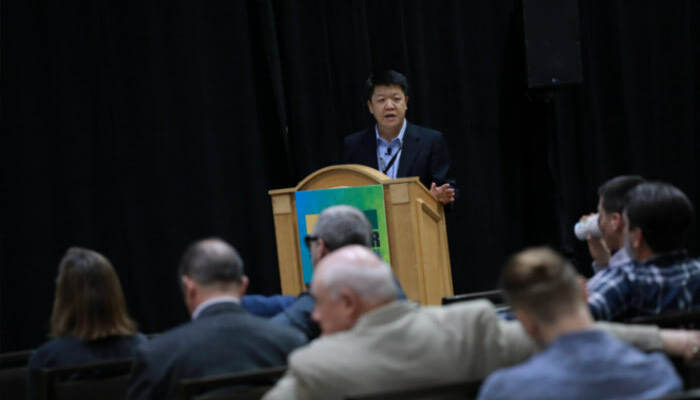 Stephen Shang, Falcon Structures' CEO and co-founder, shares his experience at the 2018 World of Modular, a conference for anyone interested in modular construction. If you didn’t have a chance to attend The World of Modular Conference, allow me to give you a recap. I’ve attended four World of Modular conferences, and there was something different this year. World of Modular has always been interesting and informative, but this time electricity was in the air. Break-out sessions were packed. Hands shot up at every Q&A segment. Networking events were buzzing. The Modular Building Institute, our hosts, did an amazing job this year. 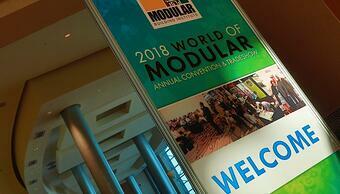 It was the perfect event to bring modular builders together to get ready for what’s to come. We have good reason to believe that modular building is about to take off in a way it hasn’t before, and it felt like everyone was taking notes to prepare for the coming disruption to the construction industry. Here are the four most important insights I gained from the conference. Modular Building Companies Have Reached the Enterprise Level. We’ve been growing as an industry. I can see it in Falcon Structures and in the businesses of my colleagues at the conference. A decade ago, most of us were in something akin to the “start-up” phase, finding our footing and building the cores of our businesses. We’ve since established our customer base and built stable enterprise level companies. 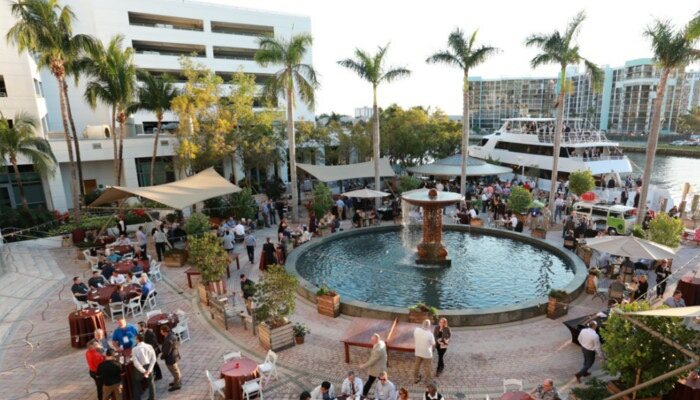 The World of Modular was hosted at the beautiful Diplomat Hotel in Florida. Macroeconomic Trends are Pointing Toward a Growth Spurt for Construction. Anirban Basu, CEO of Sage Policy Group and an economist, gave an excellent presentation titled Construction Drivers & Trends in 2018 about construction’s economic trajectory. To summarize: capital combined with confidence is a recipe for construction growth. Thanks to recent tax reform and a growing economy, we should get ready to start building. The Market is Buying into Modular. There was a time when people saw modular building as a niche industry at best (and a gimmick at worst). These days, businesses are turning their heads and seeing modular building for what it is – a fast and innovative way to get the job done. Notably, Marriott Hotels gave a presentation about the success of their modular program. Thanks to modular building, they’ve often cut building times in half, saving their franchisees a significant amount of money. Marriott Hotels is leading the way for other businesses seeking a more economical way to build. McKinsey & Company’s attendance at the conference was also an indicator that modular is finally gaining the legitimacy it deserves. Steffen Fuchs, a partner at McKinsey and Company, discussed how while manufacturing and agriculture has grown more than 1000% since the 1940s, construction has lagged behind at 6%. There’s a huge opening for disruption, and Fuchs highlighted modular construction as a key solution. Containers are on People’s Minds. Shipping container-based building is gaining momentum, and not just for single unit structures like ground level offices. I was humbled and honored when Falcon Structures won two first place MBI awards of distinction for our container-based buildings and when the MBI chose to recognize the work Hala Jawad from Radco and I have been doing to improve the shipping container coding landscape with a Volunteer of the Year award. Shipping container-based buildings have historically been difficult to get approved because they were not addressed in the International Building Code. In my presentation on Safe Use of Containers, I covered why I think that’s about to change. (Be sure to watch my recorded webinar if you couldn’t make it to the World of Modular). Once the floodgates open, we’re going to see more and more container-based buildings. Stephen Shang giving a presentation about the coding landscape for container-based buildings. Fortress Obetz, a Falcon project and first place winner in the Institutional/Assembly category of the MBI Awards of Distinction, is a forerunner for container-based buildings. As the largest container-based building in the United States to date, Fortress Obetz exemplifies how large-scale projects like stadiums can be built twice as fast if customers choose off-site container-based structures. 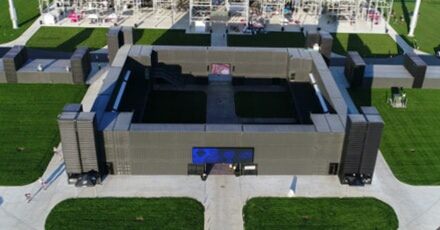 Falcon Structures’ other winning project, the emergency responder training facility we built for the Washoe County Sheriff’s Office, demonstrates the advantages of reconfigurable and scalable structures. In addition to being significantly less expensive than stick-built training facilities, the container-based structure is reconfigurable. If the Sheriff's office would like to rearrange the facility as it adds modules, it’s free to do so. It’s exciting to see modular building begin to take off after we’ve spent decades ramping up the momentum. I came home from the World of Modular Conference invigorated and ready to go back to work. We’re ready for a construction revolution here at Falcon Structures and World of Modular made me confident that amazing projects are coming our way. Have questions about shipping container buildings? Give us a call at 877-704-0177 or check out our other shipping container building blog posts.